Somehow Thanksgiving just creeps up on me every year. Maybe it’s because on the West Coast we are often blessed with an Indian summer like we have been this fall. With temps hitting the 70’s, turkey, stuffing and warm sweaters just aren’t on my radar. But Thanksgiving is the weekend, so we are taking a detour from our usual Sweet Start. 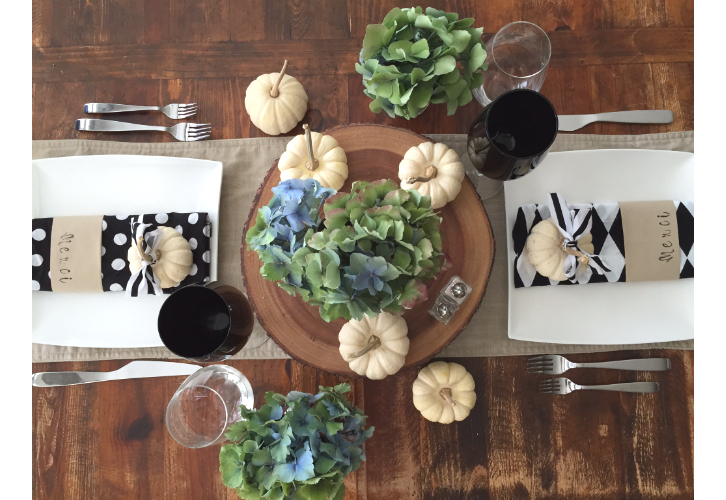 In a bit of a scramble I pulled together a table setting out of things I already had a home…minus the mini white pumpkins. Taking inspo from our Paris trip, I liked the idea of of combining simple, modern elements in black and white with rustic, natural pieces to soften it a bit. Not your usual Thanksgiving look…but I don’t consider myself very traditional! 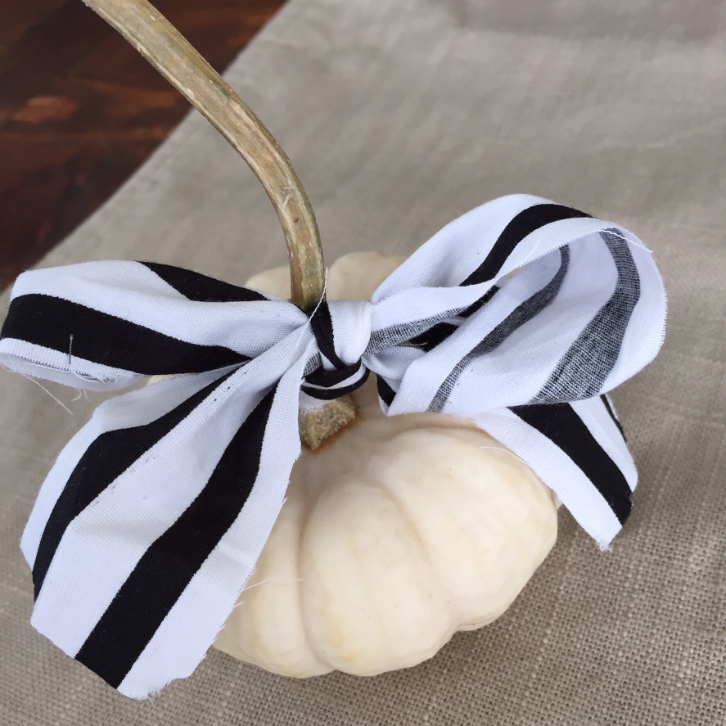 I used mini white pumpkins from Willow View Farms with strips of fabric casually tied as bows. 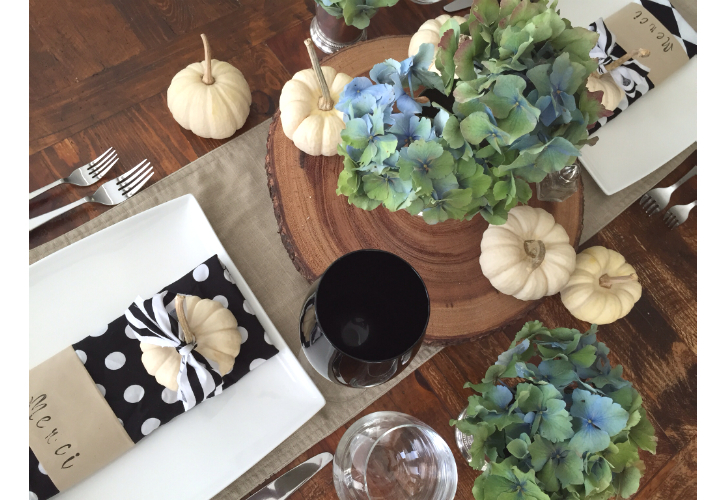 You can also used quirky, bumpy gourds, or mini pumpkins dipped in glitter. I cut and folded craft paper from the dollar store. 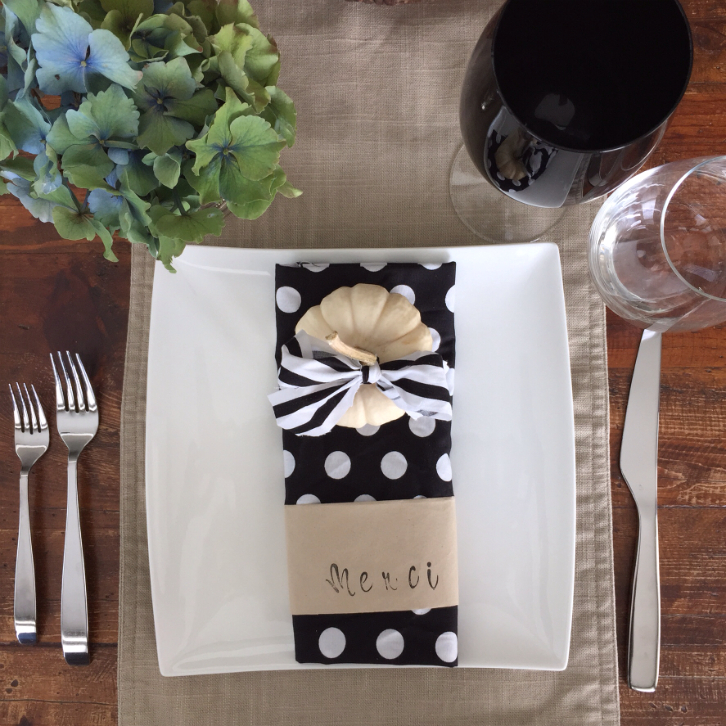 I stamped “merci” in keeping with my current Parisian state of mind and then wrapped it around the napkins. With a stamp set like this from Michaels and an acrylic block, you can create a word that suits you. Last year we made cork chargers (see here) and used words like “thankful”, “gratitude”, “blessed”. “Thanks” in the language of your family origin would be really cool too! I cut turning hydrangeas from our yard. I went with the more green ones to add an organic touch. I like the juxtaposition of the natural beauty of the hydrangeas in the polished silver julep cups. The acacia wood pedestal is from Chapters. This is a really great piece…versatile for serving and displaying. White plates are always a winner! Food just looks good on simple white plates. 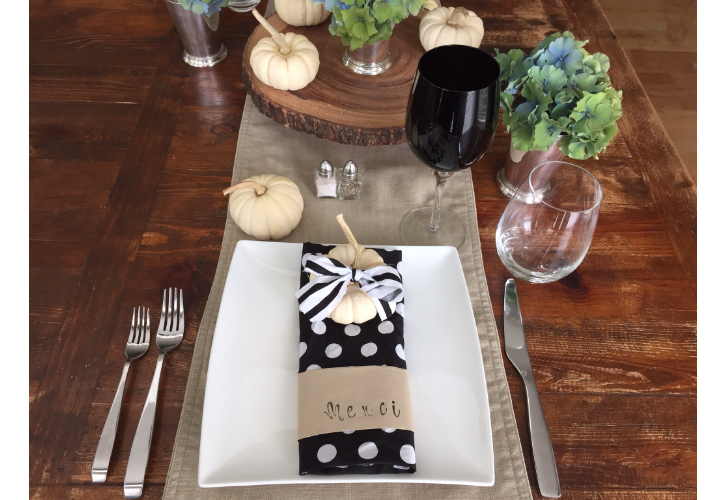 Black wine glasses…I’ve had these for years and they really do add elegance to a table. They look amazing with white…and with gold too! 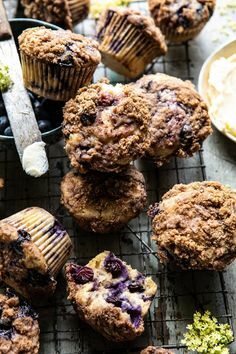 See similar ones here. So, it may not be the most traditional Thanksgiving table, but it works for me! You might just surprise yourself with what you can do with what you have on hand and a wee bit of creativity!